SPOILERS AHEAD – Everything spoiled, even the finale. Vanessa Ives is one of the most fascinating fictional characters I have ever seen on TV. To the surprise of us show watchers, Penny Dreadful ended its 3 season run on Showtime with the demise of its main character (and then quickly ended the show!). 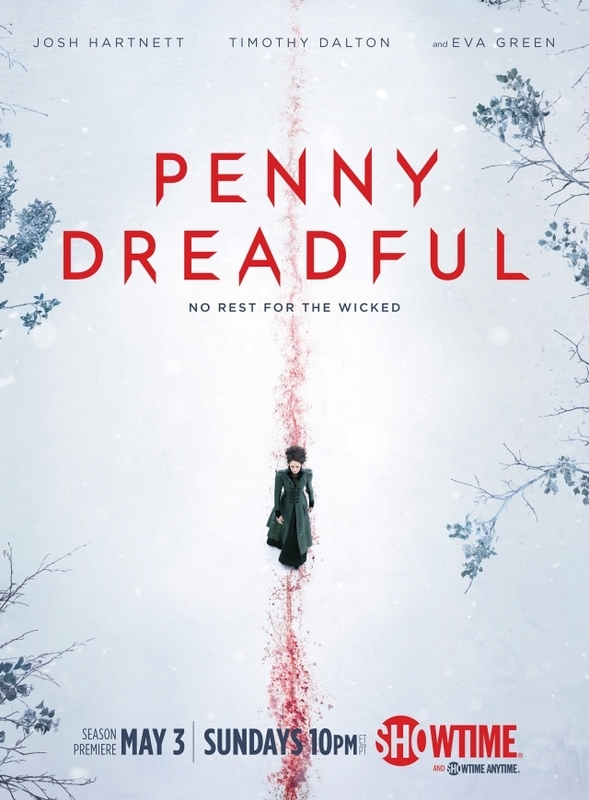 Now Penny Dreadful wasn’t everyone’s cup of tea. It was a genre show that mashed together some Victorian era Gothic characters including Dr. Frankenstein, His Monster, a werewolf or two, the never ageing Dorian Grey and a few others. It was the TV version of The League of Extraordinary Gentlemen. But it was better because it brought the characters to life with wonderful period details, amazing costumes, and beautiful dialogues. Now again this is a show that not everyone would like, but it draws in a very loyal fan base. I mean not everyone enjoys the graphic violence, seances, bodily levitations, cut wives, and gory blood everywhere (myself included). But I did really enjoy the intricate characters, their inner thoughts and their motivations. Dr. F was a scientist who dreamed of glory. He wanted to bring about life and then needed affirmation to know that he was appreciated by society. Only problem was his “creatures” basically wanted to do him in for making them into monstrosities. But in the end, his monsters were able to find a peace of sorts by reconnecting with their previous lives and finding out they could admit their heart-breaks and still find some acceptance in the world. In some ways they were better creatures and understood their creator better than he did himself. The Werewolf had a destiny that only he could fulfill, but it left him weak many times to resist and control that power around the innocent (and not so innocent) bystanders. He was also a protector of sorts but his desire for revenge took him away from that role just long enough to abandon his main purpose until he realized too late that he had left her vulnerable. With Vanessa we have a woman with a tortured soul. She was tortured by guilt but also had the power to heal just about everyone she came in contact with. Her inner beauty though was the thing that drew both good and evil to her. She had a power to see into the dark world of the night creatures and that also drew them to her. She let the evil in one day in a moment of great despair. From that moment on she was hunted by it. She had a strong faith in God, but those around her did not. They tortured her both mentally and physically because they could not believe her stories of this other world. Finally when she had lost hope, the evil creatures and their master made their move. She tried to resist again but needed her protectors there and though they were rushing back to her, they did not make it on time. In the end she died as a martyr of sorts. The evil could no longer use her and so it fled back into the shadows. The world was set right. And Vanessa got to see her Lord on the way to the afterlife. I liked how in a season 1 episode she told her wannabe boyfriend that she just wanted a kiss from him and the evil would have been set aside. And in the last moments of the final episode she asks for a kiss and she gets it finally from someone who isn’t trying to control her. I didn’t like the vampire very much as he defied all the normal rules of vampires. But I will say he was subtle and it was convincing how Vanessa didn’t recognize him in time to marshal forces against him. She went to his work place alone, which was a huge mistake. 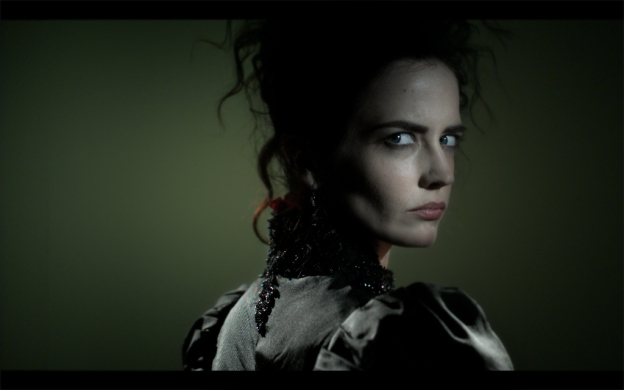 Unfortunately the other Penny Dreadful characters couldn’t match the intensity of Vanessa. But I found them interesting never the less. They introduced a female Van Helsing type character in the last few episodes. If they ever made a sequel to the show, she could go on chasing the vampire with Malcolm Murry’s help. The new summer TV shows have started so I thought I would begin writing some short reviews. Here I explore the themes of Penny Dreadful’s main female character. Invitations to unexplored worlds – In an early scene, Vanessa invites a new acquaintance to experience a world beyond this one. Here is the clip where that happens. The border between what is known and unknown – Vanessa walks along the beach with Mina and asks her if she wants to go into the ocean. Vanessa wants to go in. The beach itself is the border between the safe known land and as the ancients called it, “the evil unknown sea”. The Eye is the Window to the Soul – Vanessa stares into the lifeless creature she made. It’s a bird of prey. She puts a mirror behind the dead eyes to give them life. When she stares at you she wants to see the part of you behind the physical shape. The world of the ephemeral held still and studied. In Penny Dreadful, Vanessa is a our spirit guide between the worlds. Penny Dreadful is mysterious show and you never know if I character is going to a dark, dark place to die. But good news is here! Penny Dreadful the Showtime TV show was renewed for a second 10 episode season. This is the first summer TV show renewed this year. And they did it after just four episodes. Last year, Under the Dome was quickly renewed after its premiere. I have seen all four episodes and am liking the show so far. The show seems to be focusing on a character at a time with each episode (which I liked from my early days watching LOST). I am looking forward to see how they progress this season and set up season 2. 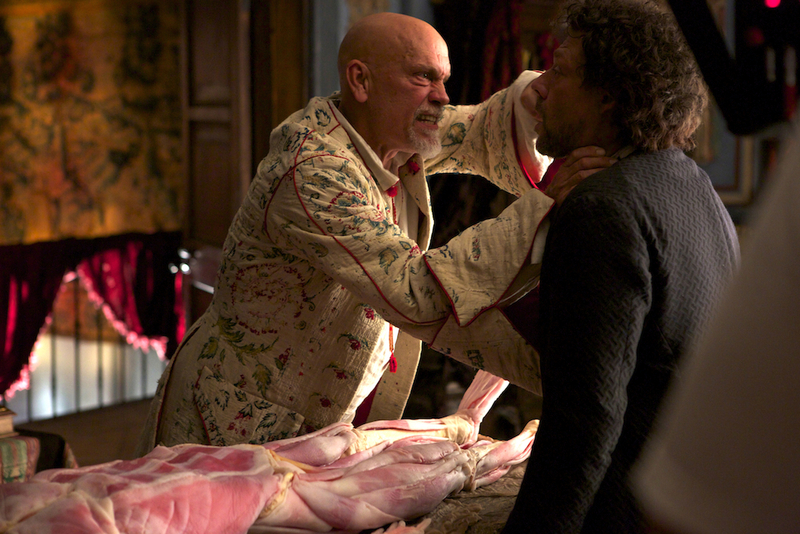 Crossbones is about the British navy’s attempt to get rid of the famous pirate Blackbeard. I liked this better than Black Sails which seemed to be similar in plot. But this show is better executed (with Liz Sarnoff from Lost as co-producer). There is betrayal brewing on all sides, both within the British and Pirate camps. Also the women pirates play a very large part in the proceedings. The show is on NBC and you can watch the episodes for free at their website or on Hulu. The main character has already survived being attacked and captured by pirates on the high seas; he has been choked, tortured, beaten and even shot. But he continues on at full strength, so much so that he can go swimming with a lovely lady.